Corcitura visits Because Reading is Better Than Real Life! Huge hugs and a big thank you to Michelle for having me back on her blog to chat about the origins of Corcitura! Think the vampire genre should have been staked long ago? Well, I beg to differ, and if you head on over to Michelle’s blog, you can read an article about how I wove werewolf & vampire mythology together to create an entirely new species of undead. 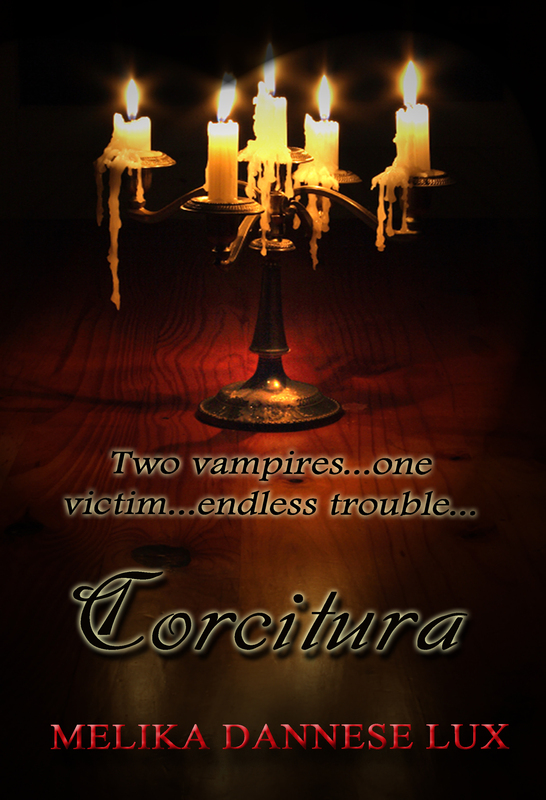 And while you’re there, don’t forget to read a spooky teaser excerpt from the POV of Corcitura’s only female narrator! City of Lights Featured @ Because Reading is Better Than Real Life! A colossal thank you to Michelle for featuring City of Lights on her wonderful blog! To find out how Ilyse’s story was born from a song, and to read a special “backstage” excerpt, just click on the screen capture above. P. S. And don’t forget to keep in touch! 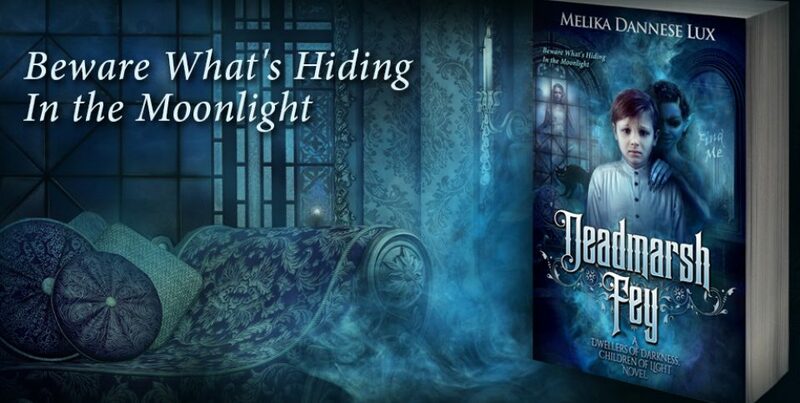 Melika’s Interview and City of Lights Giveaway at the Homeschool Authors Blog! I am so thrilled today to be featured on the Homeschool Authors Blog! Many thanks to Sarah Holman for letting me share a little bit about myself, City of Lights: The Trials and Triumphs of Ilyse Charpentier, and Corcitura on her wonderful site. Please don’t forget to enter within the next ten days for your chance to win a Kindle copy (US residents only) of City of Lights! Melika, Welcome to Homeschool Authors. Hi Sarah! It’s great to be here! God-loving. Loyal. Creative. Focused. Joyful. I have been an author since I was fourteen and write YA/NA historical fiction, suspense, supernatural thrillers, fantasy, sci-fi, short stories—you name it, I write it! I love to read just about anything and everything and am particularly fond of historical fiction, the classics, mysteries, epic fantasy, history, and non-fiction. I am also a classically trained soprano/violinist/pianist and have been performing since the age of three. Additionally, I hold a BA in Management and an MBA in Marketing. What was your favorite part of being homeschooled? I received so many blessings as a result of being homeschooled! I would not be the writer I am today if it had not been for my fantastic high school English curriculum, which could be defined as “classics, classics, classics!” Homeschooling instilled in me such a love and appreciation for these phenomenal works. Additionally, I believe reading classics from a young age molds your mind to appreciate fine literature. It’s like being classically trained in voice—if you have great training, you can sing anything. The same goes for reading. Even though I read a great variety of books from different genres, classics remain my favorites and are my “go-to” books. Homeschooling also taught me the value of independent study and being self-sufficient. You certainly can’t blame your schoolmates for holding you back when you are the only one in the class! This self-reliance and discipline went on to help me a great deal in college, graduate school, and my post-academic life ever since. I have to pick just one?! All right, it would have to be David Copperfield. I read this book close to sixteen years ago and can still quote passages and remember scenes vividly. All the suffering and hardships this young 19th century Englishman endured and all the mistakes he made in love and in life transcended the ages and became so relevant to me, a preteen living in the United States in the 20th century. That is truly a testament to the genius of Charles Dickens. It is also what I think makes a book a classic—its timelessness. My love for writing grew out of an early love for reading. I think what led me to this point, what essentially caused the inspiration to germinate, was that my mother started reading to me when I was in the womb, and my father told me wild, not-exactly-verifiable tall tales while I was still in the cradle. I remember writing little stories and vignettes when I was a very young child and also staging my first play (an adaptation of King of Kings) when I was eight years old. The budget was nonexistent, so my family was conscripted into the production, with my dad and mom playing six parts each. I think that was when the writing bug first reared its head and bit me squarely on the heart. I felt a little like Cecil B. DeMille after that. There is a VHS of the play floating around somewhere. It is one of my first memories of writing. What inspired City of Lights? One night in December 2002, I was puttering around in my room when I suddenly started singing verses of a song I had made up in that moment. From that song, City of Lights: The Trials and Triumphs of Ilyse Charpentier was born. The song became Tonight, the lyrics directly inspiring the novel and making their way into a pivotal scene toward the end of the book. Now, the only thing remaining was a setting. I’m a singer, a Francophile, and a devotee of fin de siècle culture and literature, so the idea of Paris, forbidden love, and the added tension arising from my heroine being estranged from her brother (her only living relative) was too exciting not to pursue. City of Lights is first and foremost the story of Ilyse Charpentier, a young singer in 1894 Paris who has never experienced love because of the stranglehold her patron, Count Sergei Rakmanovich, has upon her life. All that changes when she meets Ian McCarthy, a dashing, young English expatriate. Needless to say, the Count is not at all pleased with this new obstacle. As I mentioned before, Ilyse has also been estranged from her younger brother Maurice, who blames her for letting the Count drive them apart. Things are complicated further when the Count devises a way to use Maurice as leverage to get Ilyse to agree to his demands. Without giving anything else away, Ilyse is forced to make a life-shattering choice that has the potential to destroy her hope of finding the love and freedom she has always been denied. I’ve had readers from 14 to 87 tell me how much they loved the story and how happy they were to read a clean, pure romance—with quite a bit of brother-sister conflict added to the mix. I wrote City of Lights at the age of 18, and it was always my intention to produce a novel that teens, parents, and readers of any age could enjoy. In my stories, I never shy away from showing evil for what it is, and more importantly showing how people triumph over it by determination, the help of allies, and the grace of God, but I don’t believe there is any need to get gratuitous in the content department. Doing so cheapens your work and turns off a whole swath of readers, myself included. If I wouldn’t read it, I certainly wouldn’t write it. There was a shriek and then I heard a sickening crunch as Arabella’s cries died to a whimper. Something thumped against the ground as Augustin Boroi stepped back and drew his arm across his mouth. The sleeve of his shirt had doubled as a napkin. It was no longer white when he pulled it away. See? There is no need to slide into the mire of gratuitousness to be effective. More often than not, what is left up to the imagination is infinitely more scary, thought-provoking, and powerful than spelling out every aspect of a scene in bloody red letters. Do you plan to write more books? Definitely! In addition to Corcitura (which was published last November), I am completely rewriting my original first novel that I began at the age of fourteen, but abandoned for school, life, and other projects. I have been working on it since July of 2012 and have been totally transforming it into a dystopian epic set in a brutal and lawless world. The entire theme and outcome of the story have changed drastically, but all the exciting bits (mythical beasts, hidden identities, battles, political intrigue, and some truly horrifying and treacherous villains) are still part of the fabric of the story. With the passage of years, however, everything within the story seems to have more meaning and gravitas to me now. It is definitely not the same book I would have written as a fourteen-year-old, so I am very happy I put the novel on hold. I am also mapping out and reworking my fantasy duology (which I’ve been writing since 2003) and am currently finishing up a collection of short comedy/fantasy/mythical stories set in Eastern and Northern Europe in the 1800s. It has been an exciting challenge to essentially create “Novels in Miniature” for this collection. Enter for a chance to win a signed copy of City of Lights: The Trials and Triumphs of Ilyse Charpentier! 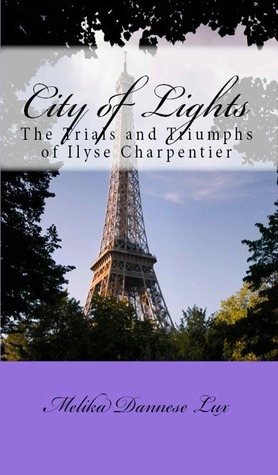 To coincide with the April 2013 Historical Fiction Virtual Blog Tour for City of Lights: The Trials and Triumphs of Ilyse Charpentier, a signed copy of the novel is up for grabs starting today! Enter by April 8, 2013, for a chance to win, then join me for all the fun and excitement as City of Lights tours the blogosphere. Giveaway ends April 08, 2013. Check back in the coming weeks for more details about the tour. Why should I read City of Lights? Journey back in time to fin de siècle Paris, those heady days when dancehall divas captured everyone’s imagination. Glitz and glamour dripped from every corner of these clubs and their clientele, but backstage, the reality was entirely different. When the greasepaint came off, there was nothing but emptiness and the oppressive, ever present patrons who stifled your very essence, micromanaging your every move—choosing what you wore, whom you associated with, and even if you should associate with anyone at all. This is the world of Ilyse Charpentier, and after five years, she has grown tired of living a lie. She has fame, glory on the stage, but something she has always yearned for is missing: love. And then one night, she meets her soul mate, Ian McCarthy, and experiences the giddiness of first love—the carefree euphoria, the “there is nothing in the world but you and I” freedom. This is different, this is real, and Ilyse is prepared to fight to claim what she has been denied for so long. But in her bliss, she has forgotten one thing. Casting aside a patron like Count Sergei Rakmanovich is not as easy as she first assumes. After all, this is the man with a boundless desire to control the lives of others, the man who went so far as to bestow a new identity on Ilyse to make her more appealing to the Parisian populace. At this point, the idea that City of Lights is simply a romance ceases, for giving up a life of privilege as the count’s captive muse has now become far more serious and consequential than Ilyse could have ever imagined, especially when the one thing she holds more precious than her own life becomes a pawn in the Count’s sadistic game: her estranged brother and only living relative, Maurice. But although the struggles in this story are titanic and seemingly insurmountable, there must be laughter, which is provided by many characters, but most noticeably by Ian, for how can there not be mirth in a novel where an Englishman comes to Paris and falls in love with a French girl? Not only do we have the intrigue provided by the intertwined destinies of Ilyse, Maurice, Ian, and the Count, but we also have the clash of cultures as Ian tries to adjust to expatriate life in France. The battle is launched almost immediately during a very heated argument with a nationalistic French waiter over the merits of Guinness versus the vaunted wine of France—Ian’s foreign ignorance being, to the waiter, tantamount to a guillotining offence. This thread continues throughout the novel and serves to lighten the mood by offering moments of laughter and glimmers of hope to Ilyse for the future she and Ian might share, if only she is willing to grasp for it. From the glittering palace of music and enchantment where Ilyse reigns supreme, to a fogbound train station in Munich, Germany, where only death awaits, you are taken on a whirlwind ride through the life of this young girl whose only wish was to believe that the City of Lights would hold some magic and romance for her, too. Yet although this is Ilyse’s story, everyone in her orbit is vitally important to bringing this saga to a close: ever faithful Manon, her best friend and confidante, whose bubbly exterior masks deep scars from her own ordeal at the hands of the count years before; Count Sergei Rakmanovich, the “cause of it all,” who will stop at nothing, not even murder, to have Ilyse for himself—as if controlling her every move for the past five years weren’t enough; Vasily Markolovick, Sergei’s lackey, who has always carried out his precious master’s wishes, until now; Maurice, too selfish to see his sister’s anguish, too stubborn to understand that he has abandoned her when she needs him most; Ian McCarthy, passionately in love with Ilyse and wildly different from anyone in her stifling world, a man for whom she would willingly flee the gilded cage. And lastly, there is Ilyse, who is faced with an earth-shattering decision. Her choice will decide who lives and who dies. After being enslaved for so long, can she really give up her one chance at happiness to save the brother who loathes her?